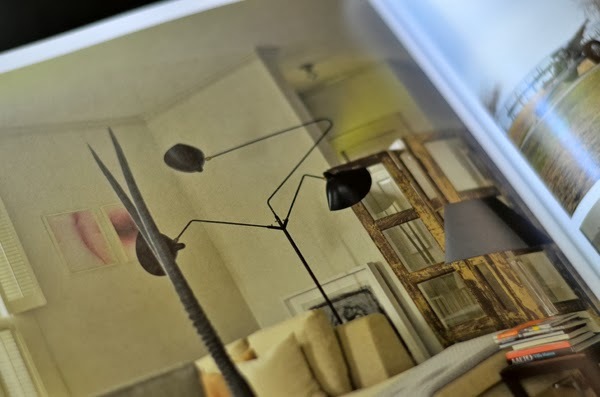 I adore a good coffee table book, especially if it's one on interiors. I wanted to share with you this fabulous book I have been enjoying all weekend. 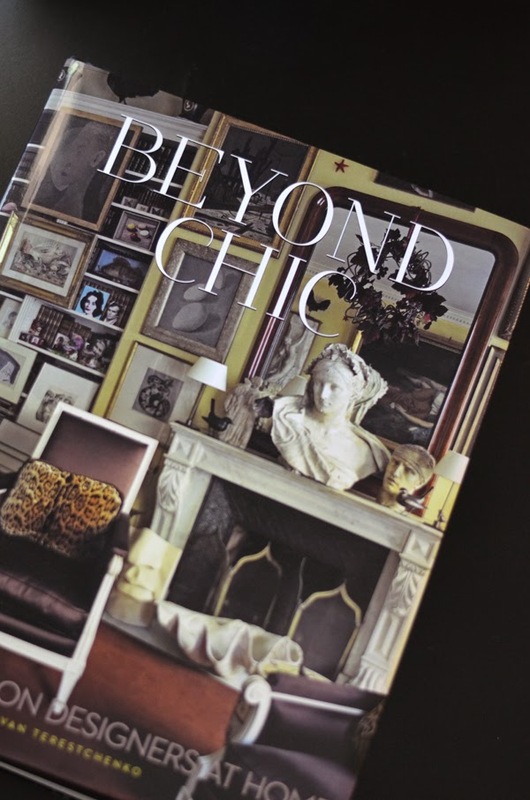 Thanks to Vendome Press I received this advance copy of Beyond Chic where Ivan Terestchenko captures the real essence of the homes of some of fashion's greatest designers. You know what their clothes looks like and what their general style is, but what do their homes look like? Oh, yes, we are talking about Coco Chanel's Paris flat, Pucci's pallazo in Florence, and even Yves Saint Laurent's Paris duplex. 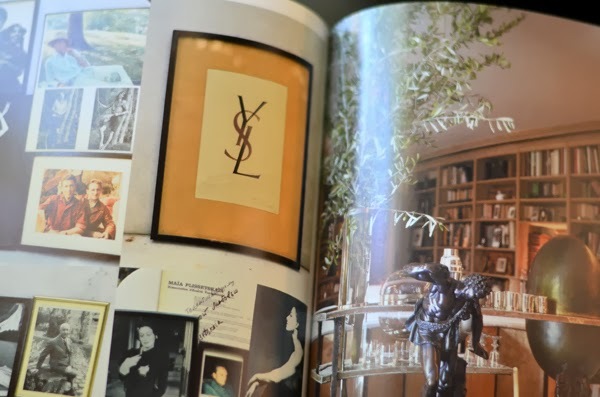 Other amazing designer's homes included are- Missoni, Nicole Farhi, Reed Krakoff, Manolo Blahnik, Christian Louboutin, Loulou de La Falaise, and Georgio Armani among many others. It's so enjoyable to be a fly in the wall in these fabulous homes. Aside from the amazing inspirational photographs containing so many decorating ideas, what struck me the most was the naturalness with which these designers decorated their homes. The homes look real, lived in, not staged and styled, which is what we are fed lately through pinterest and instagram. These homes exude glamor and richness without seeming too decorated, if that makes any sense. 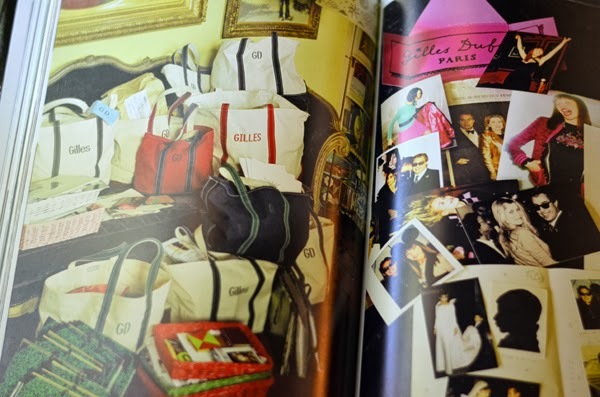 The book really takes you into a private-tour-like experience giving detailed insight into each designer's aesthetic- from bohemian flairs, to minimalist designs, to exotic and flamboyant styles. 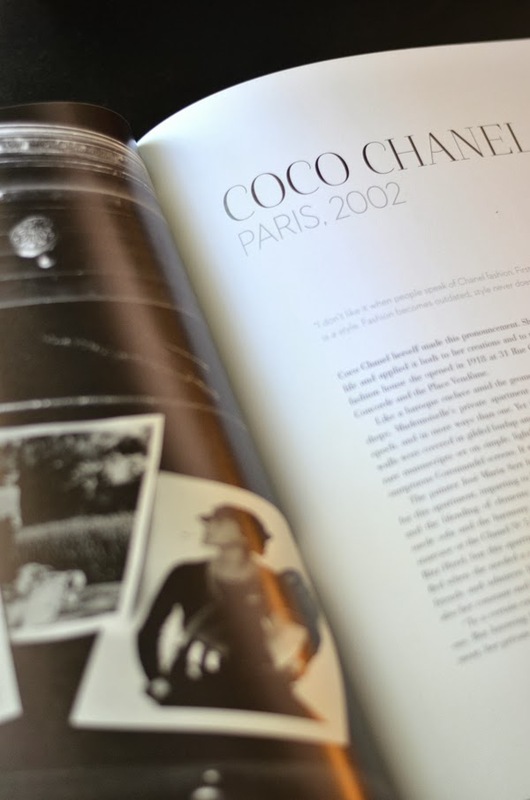 The author's introductory paragraphs to each home are filled with fun facts and annecdotes that help shed more light into the personal lives of these fashion icons. I highly recommend this book for your own coffee table collection or as a gift to a friend. I always think coffee table books make the perfect gift because with each page turned there is great excitement to see what is showcased next-making this book279 pages of pure excitement. Order it here. I received this book as well! LOVE! I have this book on my Christmas list for sure! oh my! THAT NEEDS TO BE IN MY COFFEETABLE! Not only is this a great coffee table book it is the PERFECT coffee table book. 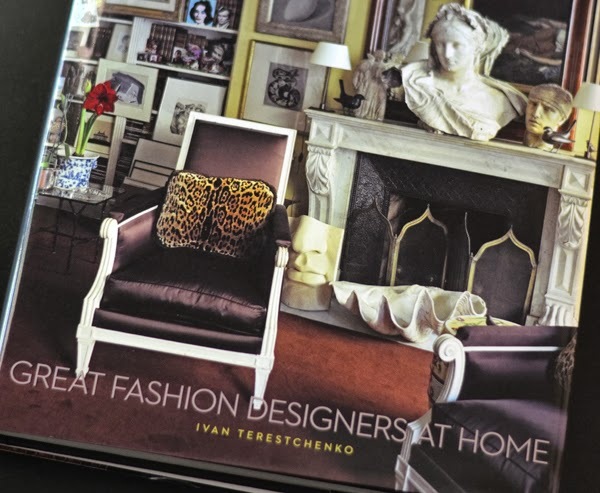 A good coffee table book is a must and this one looks fabulous! ooh, this looks good, will have to check it out!!! Love love love this book! So full of goodness. I need to invest in more books - both coffee table and ones I'll actually read. I've been reading a lot more lately (vs tv at night) and I realize it's a much better way to unwind and calm me down after a stressful day. Great post! It looks like a great book...I need to add it to my collection! Love a good coffee table book! Will have to check this out! this looks like a lovely inspiring book. i need some more pretty coffee table books! This book sounds amazing! I'm adding it to my growing list of coffee table books. Thanks so much for sharing! This looks like a gorgeous book Albertina! I'm always on the hunt for new ones. I love seeing how designers live. I also love when it is captured from everyday life. I'll go check this one out. Ooooh I so want it!!! Thanks for sharing this! I'm always on the hunt for new, great interior design books. This looks so great! I really want to add this to my coffee table book collection too!! It looks fab! I need a copy of this book NOW!! Thanks for the sneak peek! What a fun concept. It's definitely going on the amazon list. Thank you for sharing! I need a copy now! Definitely on my list. Loved seeing the sneak peeks!